Delegates set to celebrate 100th Anniversary! This is a special year for our union – the CFT will celebrate its founding 100 years ago. In this centennial year, the CFT Convention will be held March 22-24 at the lovely and historic Millennium Biltmore Hotel in Los Angeles. The Convention is open to all CFT members, but only elected delegates can vote. It is the Federation’s highest governance body, where delegates shape union policy and positions on issues affecting all members. The Convention will elect officers of the CFT including President, Secretary Treasurer, and 24 Vice Presidents. Because the Convention will be biennial after this year, delegates will also elect delegates to the AFT Convention and the California Labor Federation Convention in 2020. The CFT division councils meet Friday night and will also elect officers. General Sessions are packed with speakers, awards, and debate on union resolutions. Our workshops cover a wide range of topics. There’s time for fun as well, with a Friday night Union Social and our 100th Anniversary Reception and Gala on Saturday night. Here’s our up-to-date helpful guide for Convention delegates and visitors. Download the schedule and workshops from our Convention Program. 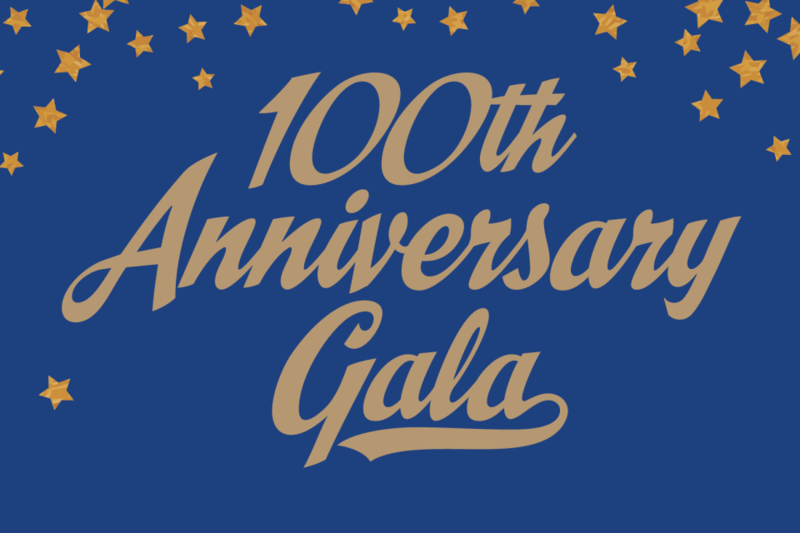 On Saturday evening, March 23, the CFT will host a gala to celebrate our 100th Anniversary. You can look forward to learning more about CFT history, seeing this year’s Ben Rust Award presented, and a special performance by cellist Rebecca Rust, daughter of Ben Rust. Enjoy the tunes of San Diego protest band The Resizters and, later in the evening, request your favorite tunes from our DJ. This is a celebration you won’t want to miss! The Reception starts at 6:30 pm, and the Gala starts at 7:30 pm. Online ticket sales have closed, but there are a few tickets available for sale in the CFT100 Store at Convention. Tickets are $75. Please note: The Los Angeles Marathon is Sunday, March 24, and runners will pass through downtown L.A. near the Biltmore. Please take this into consideration when making travel plans. Find the marathon route here. By plane: You can fly into Los Angeles International Airport (LAX) or the Burbank Airport (BUR). It is 18 miles from LAX to the Biltmore and 16 miles from the Burbank Airport. By car: The Biltmore is situated in downtown Los Angeles. Find driving directions online by entering the hotel address (506 S Grand Ave, Los Angeles, CA 90071) or follow the directions below. From LAX: I-105 E from S. Sepulveda Blvd. Continue on I-105 East. Take I-110 North to West 4th Street. Take the 6th Street/9th Street exit from CA-110. Take South Hope Street to South Grand Avenue. From Burbank Airport: I-5 South to Stadium Way in Los Angeles. Take exit 138 from I-5 South. Continue on Stadium Way to Sunset Boulevard. Use the left two lanes to turn left onto Sunset Boulevard. Follow North Beaudry Avenue and West 1st Street to South Grand Avenue. From Ventura: 101 South to Los Angeles. Take Interstate 110 South exit from CA-110/Harbor Freeway. Continue on West 4th Street. Take South Hope Street to South Grand Avenue. From San Diego: I-5 North, take CA-73 North, I-405 North and I-110 North/Harbor Freeway to West 4th Street in Los Angeles. Take the 6th/9th Street exit from CA-110. Take South Hope Street to South Grand Avenue. From Long Beach: I-710 North to 405 North. Take I-405 North and I-110 North/Harbor Freeway to West 4th Street in Los Angeles. Take the 6th/9th Street exit from CA-110. Take South Hope Street to South Grand Avenue. Parking options are listed below with their locations shown on this map. Please note: Some parking lots do not allow overnight parking. Make sure to check with the parking attendant regarding restrictions. Daily Maximum: $16. Overnight: $35. Daily Maximum: $20. Overnight: $20. Daily Maximum: $35. Saturday and Sunday: $8 flat rate. No overnight. Find the cuisine of your choice within walking distance in this helpful Restaurant Guide prepared by the Millennium Biltmore. Reservation requests were due to the CFT on February 25. If you have questions about room reservations, please email Angelica Vargas. Convention credentials must bear the signatures of the president and the secretary of the local, and the seal of the local. Each delegate must bring a credential card to Convention Registration on March 21, 22 or 23. Visitors and guests who will be attending general sessions at CFT Convention must register with the CFT. Please return this completed form, which requires the name and signature of the sponsoring delegate or staff member, to Leticia Castro. If you are attending only the Gala as a visitor or guest, you do not need to register with the CFT. The document below outlines the rules that govern election campaigning for state officer elections. The rules are meant to ensure fairness, keep order, and preserve the integrity of the election. In general, candidates should try to maintain “the spirit of the campaign” which is an atmosphere of friendly competition with others and respect for the election process. A copy of this document shall be distributed to all candidates. Ben Rust Award is the CFT’s highest honor and will be presented at the Saturday evening 100th Anniversary Gala. Women in Education Award honors outstanding achievement by female unionists and will be presented Sunday morning to Arlene Inouye, United Teachers Los Angeles. Communications Awards honor local unions for their outstanding communications and will be presented Sunday morning. Pride of the Union Awards honor both EC/TK-12 Council and Community College Council members for local union leadership and activism at Sunday breakfasts. If you want to pay by credit card, you may purchase single tickets or multiple tickets in one simple and fast online transaction. After you complete the purchase, your pdf tickets will be emailed to you immediately. (Note: The sender will be Eventbrite not the California Federation of Teachers.) Please print your tickets and bring them with you to Convention. Purchase tickets on-site at the CFT100 Store, but we recommend buying tickets in advance to ensure availability. Community College Council Awards Breakfast: On Sunday, March 24 at 7:30 am, the CCC honors outstanding local union activists at its annual Pride of the Union Awards breakfast. Tickets cost $35. EC/TK-12 Council Awards Breakfast: On Sunday, March 24 at 7:30 am, the EC/TK-12 Council honors outstanding local union activists at its annual Pride of the Union Awards breakfast. Tickets cost $35. You will be able to purchase specialty 100th Anniversary items at our “brick-and-mortar” store during Convention. You can look forward to some CFT classics re-envisioned. Everyone loves the CFT’s own Rosie the Riveter, right? Store hours are shown in the program. Delegate t-shirts will also be available for pick-up at the #CFT100 Store. Our online store is open again to order select specialty items during Convention, and after Convention. But please know there are limited quantities of many items at CFT Convention, so shop early! Please contact Executive Director Sarah Callahan. Thank you! Below are some of the key steps to seating a local delegation at CFT Convention. Download pdf: Complete step-by-step preparations for Convention including legal requirements for delegate election and seating, committee service and much more. 2. Notice of election of delegates shall be mailed to each member at least 15 days in advance of the election. Notice may be contained in the local union newsletter as long as it is mailed to the last known address of each member. 3. Election shall be by secret ballot. 4. Results shall be published and records (including ballots) kept for one year. The local constitution or by-laws state that one of the duties of office is to be a delegate to the CFT Convention. Although many locals divide expense allocations equally by common practice, the Labor Department has ruled that expenses need not be distributed equally among the delegates, provided that the rule for allocating the expenses is passed before the nomination of candidates. The guiding principle to follow is that the rule must be reasonable and able to be uniformly enforced. Find a helpful step-by-step guide to delegate elections in the booklet, Conducting Local Union Officer Elections. When writing resolutions on topics that impact our union and the work we do, please take the time to research your whereas’s and resolves and write the resolutions as clearly as possible. It’s important that delegates cast informed votes at CFT Convention, so please follow these guidelines for writing effective resolutions. Read the requirements for submitting resolutions described in the Convention Call. Follow the resolution format by using the Resolution Template below. Write your resolution assuming that readers know nothing about the subject, why there is a problem, and what role the CFT should play in its solution. Please spell out names of organizations and proper nouns on first use. Use the “whereas” clauses to educate readers about the problem the resolution addresses. Be accurate in your facts and both succinct and complete in your presentation of them. Be sure the action you ask the CFT to take is an appropriate one. For example, if your concern is one that falls within the scope of negotiations, don’t ask for legislation to take the place of local bargaining. If your local adopts a resolution that came from another organization, take the time to modify it for CFT’s consideration. Don’t submit resolutions that are addressed to other organizations. Document that the resolution was approved for submission at a meeting of your local’s membership or executive board. The CFT will make every effort to assist in ensuring that accommodations at the Millenium Biltmore are in compliance with the Americans with Disabilities Act, and will attempt to accommodate any special needs so that delegates may participate fully in Convention activities. If a delegate anticipates a special need ensuing from a disability, the delegate should call the CFT Bay Area office at (510) 523-5238 before the deadline of February 8. Child care can be made available for the children of delegates according to the criteria adopted by the Executive Council. To learn more, or to notify CFT of child care needs, return the Child Care Request form on the website, or call the CFT Bay Area office at (510) 523-5238 by February 25. Please indicate the number of members from your local union in each division of the CFT. If the CFT does not receive this form from a local union, it will use allocation from the previous year. Return this form by March 8. All proposed constitutional amendments and resolutions are first reviewed by one of the Convention committees. These committees are given the task of recommending whether an amendment should be adopted, whether a resolution needs modification, what action the Convention should take concerning the resolution, and the order of importance for resolutions to be considered. All delegates are encouraged to participate in these important sessions to ensure a democratic Convention process. Each delegate who wishes to serve will be assigned to one Convention committee. The CFT President shall appoint delegates to committees based on delegates’ expressed choices, giving weight and consideration to balance and to service on standing committees of the Federation. Members of CFT standing committees who are delegates shall be appointed to the corresponding Convention committees to coordinate the work of those bodies. No more than 20 percent of committee membership may be from one local. Only assigned members of the committee may debate and vote upon resolutions before the committee. The CFT President shall appoint Convention committee chairs and members of the Constitution Committee with the approval of the Executive Council. The deadline for delegates to select committee service is March 8. Lists of elected delegates and alternates must bear the signatures of the president and the secretary of the local, and the seal of the local. Your local’s list must be received at the CFT Bay Area office by March 8. About our pdf forms: Many of our forms are fillable pdf. Download the ones you need and fill them out electronically in the free software Adobe Reader. Note: If your browser is set to view pdfs, you will need to download the forms first and then open them in Adobe Reader. This will ensure that you are able to fill out and save your completed documents. Don't miss this once-in-a-century event! Download the CFT Convention Advance Schedule.